I hope you had a great Thanksgiving. The Miller household was full of people, food, and joy. If you know Carmen’s background, Carmen is a great decorator. 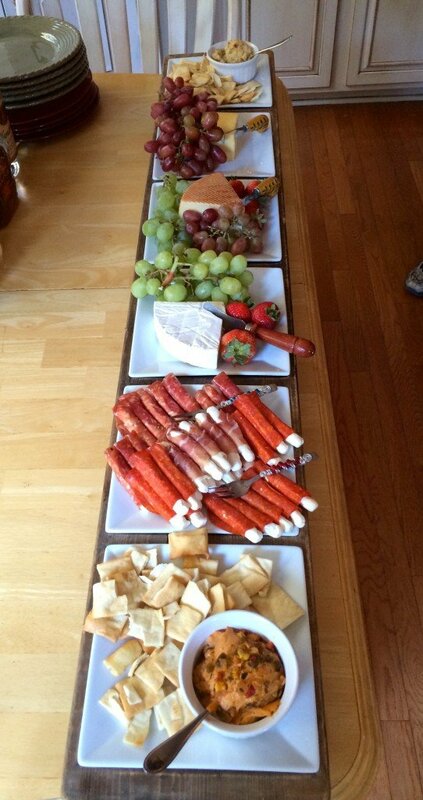 I wanted to share with you some of Carmen’s creative ideas she whipped up for our own Thanksgiving entertaining. 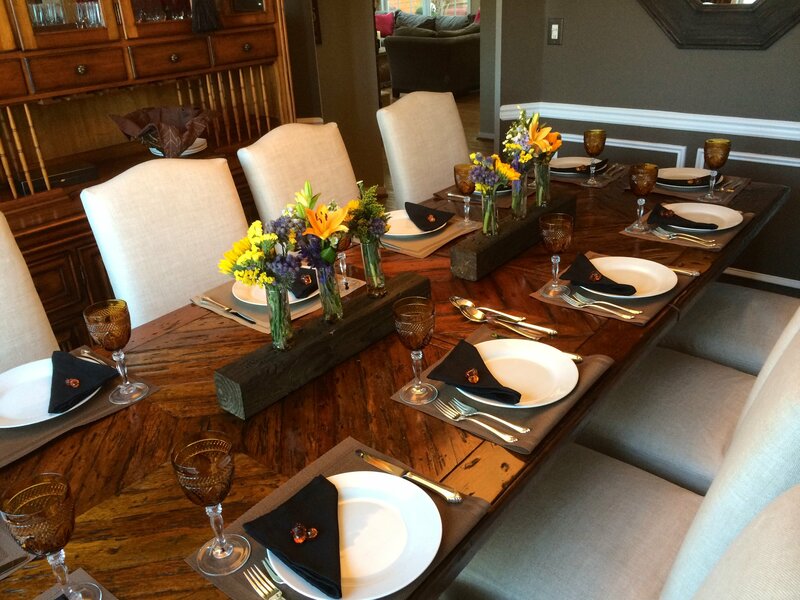 Here is a picture of our Thanksgiving table. In the center are 2 wood blocks with 6 glass vases full of fresh flowers. On the black napkins are glass acorns. Nice touch! So while shopping in one of the great Carolina small towns a while back, Carmen found wooden trays. I call them boats. Left is a unique piece of wood carved to create multiple compartments. Carmen added square white plates and whala, The Miller appetizer boat . Another find of Carmen’s was a deep carved wood trough. To me it looks more like a canoe. 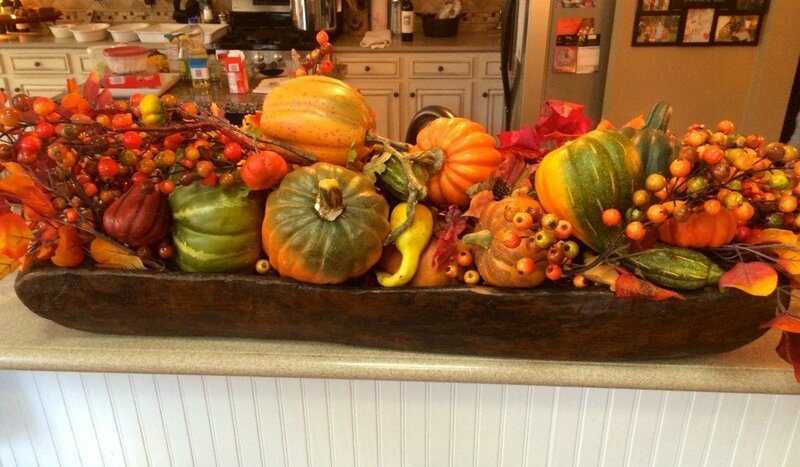 Carmen added fall decorative pieces similar to what you would find in a cornucopia. Now that centerpiece is fit for Henry the VIII’s dinner table. Have your own holiday decorating ideas? Share them by using the comment section below or send a note. We would be happy to post your decoration pictures ideas on our blog.